Kendall and Kylie Jenner, stars on the hit reality show Keeping Up with the Kardashians, present their debut novel—a thrilling dystopian story about two super-powered girls who embark on a journey together. 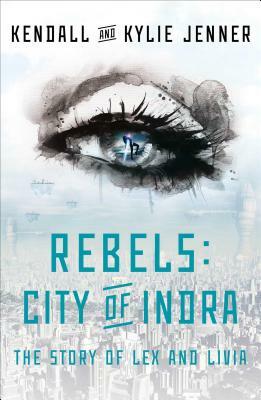 In a world of the far future, the great City of Indra has two faces: a beautiful paradise floating high in the sky, and a nightmare world of poverty carved beneath the surface of the Earth. Lex grew up in an orphanage deep in the dark. But even as a child, she instinctively rebelled against her fate—the time when she would be judged either useful to Society or forced to live among the mutations in Rock Bottom, the lowest level. When she is chosen to become an elite cadet of the Population Control Forces, only her fellow cadet Kane truly understands her longing for freedom. Unknown to her, one girl secretly shares her defiance. Livia Cosmo, the Orphan Airess, may live on a sky island surrounded by wealth and privilege, but she is just as restricted as Lex. Rigid discipline governs her every movement, as she learns the art of becoming a Proper Young Woman, the belle of the Emergence Ball, ready to be picked for “cohabitation” by the finest of the Proper Young Men. Her future is assured, until an intriguing encounter with a young man named Kane changes everything. For that is when Lex’s and Livia’s destinies collide…. Approached by an old enemy to help save Kane from mortal danger, Lex sacrifices her Special Ops career to find him in the Islands among the clouds. Her search, high above in the beautiful spires of the City of Indra, brings her instead to the airgirl Livia. Lex and Livia should have nothing in common, and yet they share a kindred yearning for escape from the strict rules that bind them...and a mystifying identical mark. Brought together by danger, they set out to find Kane, but what they discover is even stranger than either dreams.